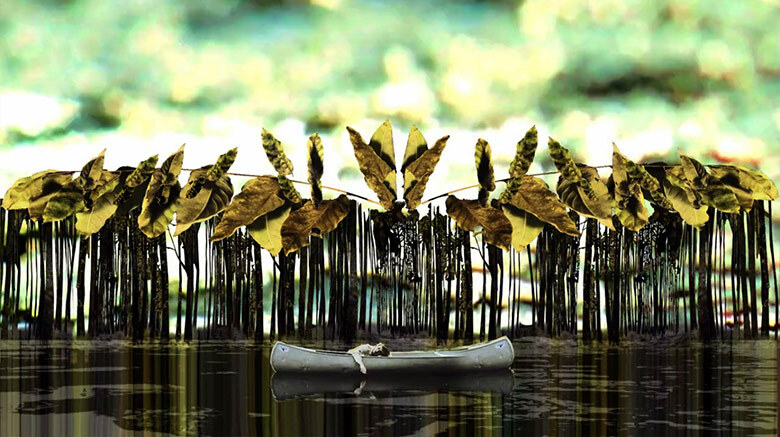 Droning layers of strings find their visual counterparts in the moving paintings of director Peter Luckner, who has collaborated with Melodium’s Laurent Girard on this slowly unfolding piece. 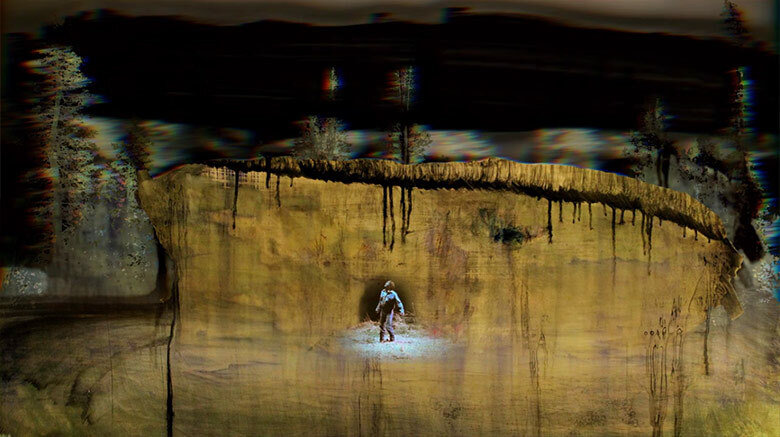 The final music video draws influence from Luckner’s early obsession with David Lynch films, and combines animated paintings with footage from the films Friday the 13th and Fire in the Sky. “The clips in the video are of moments just before the person is about to be abducted, the girl is going to be grabbed by Jason and pulled under water, the man is going to be sucked into a space ship,” Luckner explains. “I love the air in those scenes; I could watch the scene in Fire in the Sky on loop. Without having spoken to Luckner about the piece, Girard has his own viewpoint on the connection between the imagery and the music, but the conclusions are similar. He also finds direct correlations between the his music’s many melodic layers and the superposition of visual layers. Melodium’s full-length, Taramae, is out now on Abandon Building Records.